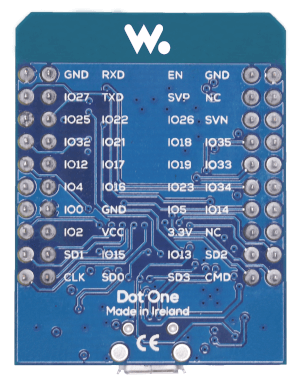 The Dot One is an Internet of Things Maker Board which lets anyone discover the world of electronics and engineering. 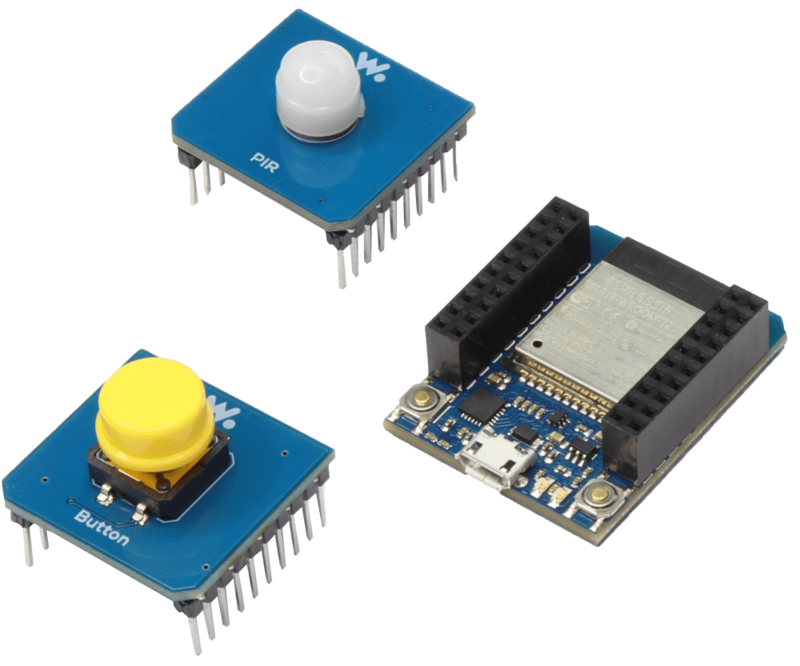 Pair the board with plug-and-play modules like an infrared sensor or a temperature and humidity sensor to build smart devices such as motion detecting security systems or home weather stations. Use the Wia Cloud to bring your creation to life - no programming experience required. We’ve made learning and building smart electronics easy, so get creating! Use the Dot One and the PIR module to send a Wia App notification when infrared motion is detected. Detect monsters in the dark! Use the Dot One with the Temperature and Humidity module to text your friends when the weather is warm. Sweet. Use the Dot One and the Button module to create a button which emails your family when you walk through the door! Start your day the right way, by laughing. Use the Dot One and TFT Screen module to display a new joke every day! Blocks are a whole new way to learn how to program electronics — made specifically for the Dot One. You can drag-and-drop simple block commands into place and watch as Wia Cloud magically generates the code needed to turn your Dot One into a real-world, smart creation. When you’re ready to level up, we’ve got a Code Editor built in so you can continue to build and explore the world of engineering. Flow Builder is our way of bringing your creations to life and connecting them to the world. Once you’ve built your sensor, make it smart by connecting it easily to 3rd party services and expand beyond the limits what your device can do! Pair your Dot One with one of our ready-to-go modules to make your board sense, feel, and interact with the world around you. 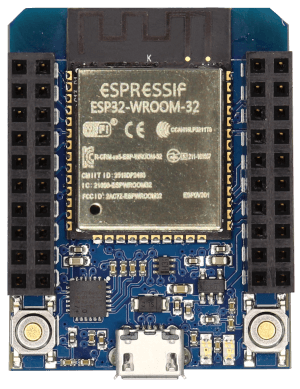 The Dot One easily integrates with voice assistants like Alexa and Google Home which lets you talk to the projects you build. We understand the importance of being a maker. That’s why we want to teach everyone how to start learning, building, and playing with smart electronics. We’ve simplified the Internet of Things and put it all in one place so you can focus on learning, creating, and having fun. Want to use the Dot One for a business project?